Here is a list of Top Magneto Hosting Providers For 2019. Since PHP modules are susceptible to attack, you may also want to find out whether the hosting provider offers an application for turning the modules on and off any time you want. For one thing, you never want your Magento eCommerce store to go offline now and then because of hosting related issues. Since the internet is always online and customers can come around at any time, it is vital to match their consistency by choosing the right hosting provider. While it is true that nearly all Magento hosting providers will attach a “99.99% uptime” tag to their package, the reality is that some of them cannot guarantee it in the long run. It is also vital to ensure that Magento’s hosting requirements are in line with what is offered by the provider. For instance, newer versions of Magento recommends PHP 7.0 or higher, and although most providers have implemented the necessary upgrades, some may still lack the compatible features to support the deployment. Find out from them whether all their current features are compatible with Magento’s. How long do you expect a web page to load, especially when you’re in the middle of shopping? The reality is that online buyers are impatient and don’t have all the time in the world to wait for your overloaded system to show them the items they’re searching. Once you determine the size of your eCommerce store, choose a hosting plan that guarantees the maximum speed and verify with the provider that there will be no numerous cases of server overload. Let’s face it. No matter how hard you try always to keep your eCommerce store online, downtime issues related to hosting providers are almost inevitable. When that happens, you should have a trusted channel to get in touch with the hosting provider even if its a holiday! Not offering a 24/7 support can be a red flag that a particular Magento hosting provider is not the best option for you. Since there are many recommended Magento hosting providers, it is never a wrong idea to compare pricing and choose which one suits your budget. There are still some other things you have to spend on before your store can go live. Therefore, hosting should not dig a hole in your pocket! Conclusively, the best Magento Hosting providers include a review page on their website to allow satisfied and unsatisfied customers share their thoughts about the service. If you can’t find this page on their website, then you can do a Google search containing the company’s name. Since you already expect a top hosting company to offer at least an average service, searching for negative reviews can help you to find out what loopholes exist easily. 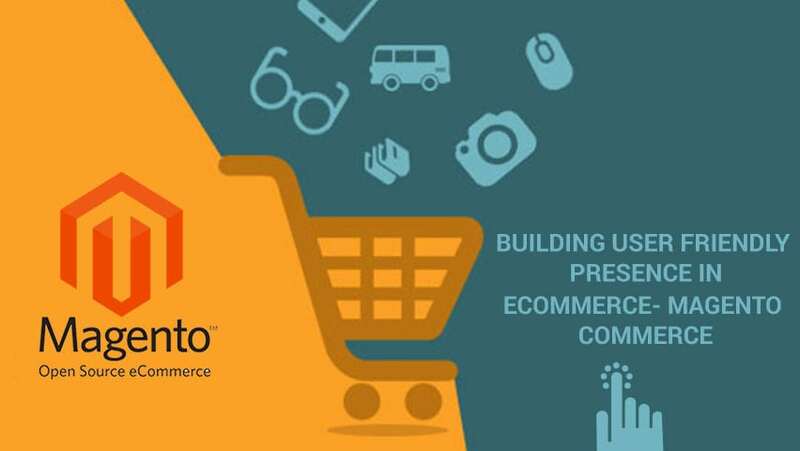 Aside from hiring an expert Magento eCommerce developer to work on your new online store, successful merchants will tell you that the next thing that decides the success of your business is the Magento hosting provider that you choose. Nexcess prides itself as a provider of stable and secure Magento Hosting and even goes further to prove this by allowing new users a 30-day trial period on a dedicated hosting package. Nexcess also offers a 24/7/365 customer support, free support for migrating to their service from a different host and automated daily backup of your site archived for 30 days. Nexcess offers five Magento hosting packages called SIP in addition to cloud hosting while all of them includes an email service for your store and other features that are peculiar to the price of each offer. 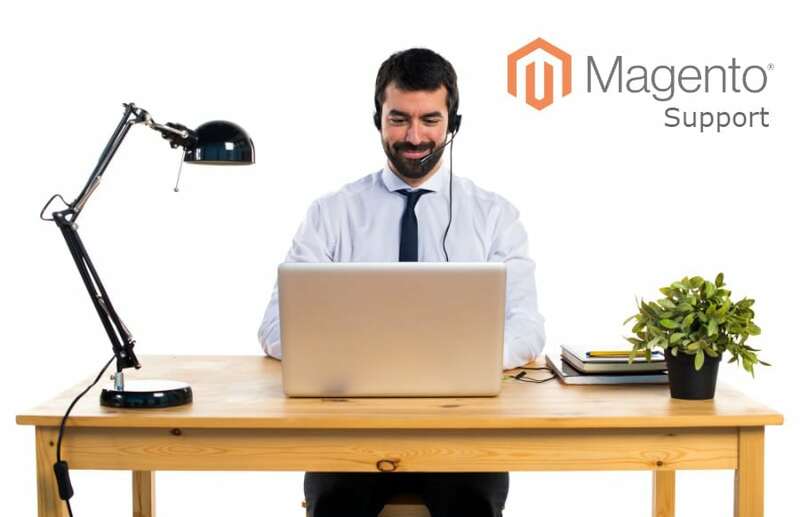 MageMojo is ideal if you’re looking for a pay-per-use Magento Hosting provider, that is, you only pay for the number of sessions and conversions your site produces. You will also enjoy top-notch security, improved site speed, free setup, and migration, plus an excellent support team that Magemojo claims will never leave you hanging. Magemojo’s pay-per-use model means that they offer one of the most competitive prices in the Magento Hosting industry across the different “Stratus” packages. Are You looking for Magento Development Services? Webscale is an eCommerce cloud company, that is, providing cloud hosting services for top eCommerce systems including Magento. Given the prevalence of cloud computing and the extra security and flexibility features that it offers, moving your Magento store to the clouds may be a better option instead of using shared or dedicated server. In case you’re worried about having a downtime while your site migrates to the cloud, Webscale allows your current environment to function until the cloud solution is ready to go live. Webscale tends to adapt their offer based on a customer’s demand and thus require a 15-minute session with their experts so that they can up with a suitable package. A2 Hosting is another popular site for hosting your Magento eCommerce store, albeit off cloud like Webscale. Their package offers a pre-installed and optimized Magento system, thereby, reducing your developer’s workload and allowing you to get your store live within the shortest time possible. Additionally, A2 offers free migration, money back guarantee, support for unlimited websites and databases, as well as an excellent customer service team. Accu Web Hosting is also a top Magento Hosting provider that pre-installs the eCommerce system on your domain, allowing you to deploy your store within a few minutes after purchasing a hosting plan. The company also guarantees access to the Magento source code or database, giving you the power to customize your store from the real backend at any time. All of AccuWeb’s plans include options to pay for a one month or quarterly subscription. However, for this review, we’ll list the pricing for annual purchases. ServerGuy offers managed Magento Hosting solutions for growing eCommerce businesses. Their essential features include bulletproof security, pro-active monitoring of hosted sites, superior support and optimized loading times. Additionally, you’ll get free in-built SSL, daily backups, Magento developer support and free migration from other hosting providers. ServerGuy offers three hosting solutions suited to 10,000, 20,000 and 40,000 monthly page views respectively. Aside from in-house server-side Magento hosting, ServerGuy also offers cloud hosting suitable for 20,000, 40,000 and 60,000 monthly page views respectively. As the name suggests, CloudWays is a cloud-based hosting provider that has helped many online businesses to focus on meeting customer demands, instead of the infrastructure powering their platform. Through CloudWays, you can host your Magento store on five of the best cloud servers globally including, DigitalOcean, Linode, Vultr, Amazon Web Services, and Google Cloud. The good news though is that all the plans include 24/7 expert support, free migration, free SLL certificates, and unlimited app installation. The price for hosting your Magento Store across the different cloud servers varies slightly even though all are pay-per-use plans. Different plans also have different capabilities. Hostinger is another popular web hosting company that offers competitive plans for Magento store owners. You will enjoy superior speed performance, excellent customer support, and 30-day money back guarantee when you purchase your first plan. There is also a one-click installer and free domain for any annual Magento hosting plan on Hostinger. So, if you’re looking to save money on domain purchase without compromising on quality, then you may want to consider their service. GoogieHost is one of the most well-ranked Magento Hosting providers in our list in terms of traffic to their site. Such a prominent status, as well as positive reviews from customers around the web, means you’re almost sure of getting good value for your money when you sign up. GoogieHost’s core features include 30 daily backups of your Magento site, automatic update of Magento core plugins and an excellent support team. GoogieHost offers unlimited storage, unlimited transfers as well as unlimited websites and emails for as low $5/month paid annually with a 30-day money back guarantee. SiteGround is arguably one of the best online hosting providers with over 1m+ domains, apparently including Magento stores running on their servers. Some of their key features include assistance with migration, free daily backup of your eCommerce store, domain name registration, top-notch security and 24/7 customer assistance via phone, chat, and email. SiteGround offers three plans with special prices on initial purchase. The Startup Plan is priced at $11.95/mo but goes for $3.95/mo on the initial purchase. The GrowBig Plan is priced at $19.95/mo but goes for $5.95/mo on the initial purchase. The Go-Geek Plan is priced at $34.95/mo but goes for $11.95 on the initial purchase. Many people know Hostgator as a top WordPress development hosting provider, but only a few know that you can also deploy a Magento eCommerce store on their Shared-Web Hosting service using the one-click install features. The platform has robust servers that offer the same level of security as when creating a WordPress site. Inmotion Hosting allows one-click installation of the Magento system through Softaculous and then offers VPS and dedicated servers for hosting your eCommerce platform. You’ll also get free setup, and 2-hours launch assists from their experts to get your site live as soon as possible. Inmotion Hosting offers the following annual packages for Virtual Privates Server (VPS) and Dedicated Servers. GlowHost offers a variety of hosting plans suited to different calibers of eCommerce owners looking to deploy Magento stores and free setup, in case you don’t want to hire a Magento developer straight out the door. Although GlowHost all offers virtual and dedicated server hosting, their shared hosting plans are Cloud-Linux based and therefore suitable for new eCommerce operators who are only thinking about scaling up their business first. You could make an upgrade as your audience grows. You can pay annually for all packages on GlowHost. Hostripples is arguably India’s largest web hosting company offering plans for Magento eCommerce deployment. With Hostripples, you’ll get some of the best prices in the hosting industry and other features such as free supporting for migrating to their service and setting up your website. In case you’re wondering whether Hostripples can power websites in your location, it may interest you to know that the company has data centers in the U.S, Canada, France, and some other countries around the globe. Note that there are also options to pay for these plans quarterly, semi-annually, bi-annually and tri-annually. The total cost spreads per month would vary depending on the duration you purchase. Scopehosts is another India-based web services company that offers Business hosting solutions suited to Magento stores operators. Just like Hostripples, Scope Hosts also have data centers located across Europe and the U.S, meaning that you have little to worry about if your customers reside in these regions. ScopeHost’s Business Hosting package comes with free domain names, free security tools, free SSL certificate, free daily backup, and multiple coding language support. ScopeHost divides it Business Hosting option into three packages that you can pay for annually. MageHost is a premium Magento Hosting company which makes your store faster, more secure, and ensures 100% uptime. Their hosting stack is built on top of AWS and SSD ensuring the fastest loading speed. All the managed hosting plans include SSL, CDN, Sucuri firewall, daily backups, and 24*7 support. The smallest plan can handle at least 20,000 to 40,000 visitors per month. It’s one thing to have the option to list all items in your inventory and entirely different stuff to give shoppers the best view of the items they’re looking to load in the cart. Interestingly, Magento developers understood these essential components and included in the system, some features that will help give your product that best visual appeal when customers come around. 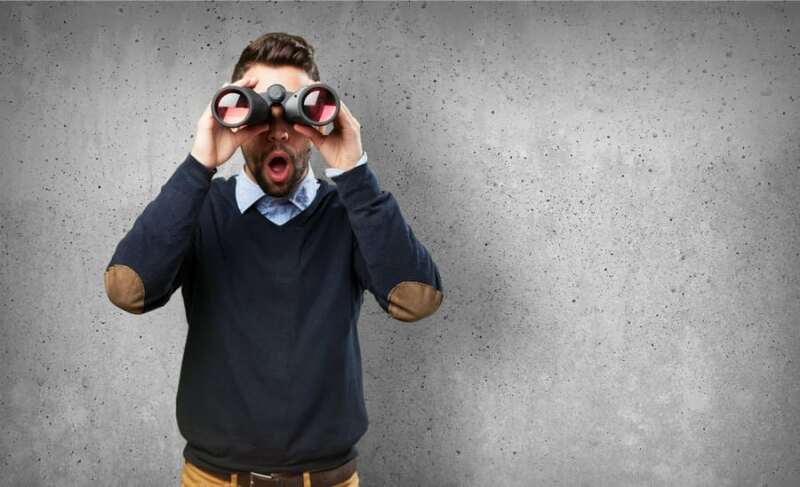 While you may have multiple products across different niches and categories, it is often how easy it is for a potential customer to find a particular item that determines whether they will patronize your store or look elsewhere. Now, while you do your best to make it easier for customers to find products by carefully using catalogs, the built-in browsing options on Magento also plays a part. view related products in cases where they can’t find the item they want. The downline is that a combination of these features will reduce the exit rate on your product pages and lead to more sales over time. The internet never goes off, and one of the primary purposes of running an online store is to rake in sales round the clock. For these reasons, you will need an eCommerce system that allows you to set up a 24/7 customer team to assist customers with minor and major glitches that can show up even in odd hours. Password reset options from both the front and backends. With these features, you can continue maintaining an excellent relationship with your customers and reduce the number of abandoned carts associated with the lack of a support team. The best eCommerce merchants rely on essential metrics and data generated from their store to make the right decisions and boost sales. Admin report dashboards containing all the vital metrics including abandoned carts, top performing products, top search terms, revenue, returned products and many more. What is the purpose of an online store if you have to put in so much effort to complete a sale all the time? enable send to a friend and wishlist features to encourage shoppers to promote your products. With a combination of these tools, upselling and cross-selling becomes a lot easier and you won’t have to break a sweat before making a sale. Given that eCommerce stores are mostly designed to serve the global audience or a least a reasonably sizeable geographical location, payment and shipping options come into consideration. For instance, if customers do not trust that their financial information is safe with you and also that you will deliver their item on time, they will likely hesitate to buy. Extensions for Multiple payment gateway integrations. Customize shipping rate based on weight, size, and price of items. Magento was built with the rigors of getting indexed on top search engine result pages (SERPs) in mind. With the right implementation of some Magento features, an eCommerce store can attract tons of steady traffic from search engines and thus lower their budget on ads from other channels. Option to enter metadata for each product, category and content page. Enable popular keyword pages for products and categories. Now that we have clear reasons why it is never a bad choice to use Magento’s system for your new or existing eCommerce stores, we’ll go over the things to consider when choosing where to host your store.